Believe it or not, there is such a thing as the perfect part. The perfect part is designed to do the job right. The perfect part is something that will not let you down. And the perfect part is available right here at Executive Volkswagen of North Haven! We stock and use only the finest genuine OEM car parts for your VW model. This means the same parts that once went into your vehicle to get it roaring off the assembly line can go into it again. Things wear out. It’s only natural, but with our genuine OEM parts, you can make sure that they wear out a little less frequently. Our parts team is ready to work hard for you. They will always find you the right parts. 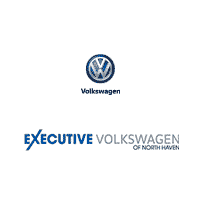 When you trust in Executive Volkswagen of North Haven, you trust in the best! We have a massive parts inventory just waiting to take care of you and your needs. When your Volkswagen falls on hard times and needs a part, you need to get that taken care of right away. The longer you put it off, the greater risk you run of damaging even more parts. If you need something that we do not keep in stock, then let us order it for you. If you are worried about having to install those parts, then just let our service team handle it for you. We have the skills that you need working under your hood! If you have any questions about our parts or services, reach out to us at (844) 282-1112, or drop on by. We love helping out our customers in need! We are a North Haven VW dealership proudly serving drivers of the New Haven, Hamden, and Wallingford areas.